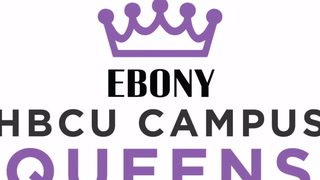 I am involved in many extracurricular activities both on and off campus such as Delta Sigma Theta Sorority, Inc. , Honors Curriculum, Beta Kappa Chi Scientific Honor Society, and served as the 2016-2017 Miss Gold for the Omega Psi Phi Fraternity, Inc. I serve in my Church on the praise dance team, prayer team and in the children's ministry. My career goals are to become a Pediatrician in which I would one day own my own practice as well as become a motivational speaker. I have been working with children since I was thirteen and have grown a passion for working with youth. When I think of all the people that have been a blessing in my life I am inspired to continue to be the positive change I want to see in the world. Although I am just starting my journey as a Campus Queen I don't want to just be a face at my institution, I want to be a change agent. When I have completed my reign I want my student body to remember me as a servant Queen who was always willing to lend a helping hand and share an encouraging word.